Training, nutrition, and supplementation constitute a lifestyle. Don't underestimate any of these in your quest for a dramatic transformation. When pressed for simple solutions to drastic, lasting body transformations, most experts will tell you there are none—that no single workout, diet, or supplement will help you pack on heaps of lean, clean muscle. They'd be right. There isn't one route to a new physique. There are many. Once you accept this concept, it's time to start narrowing your focus. One approach is to scour journals for methods that are known to work in the sterile construct of the lab. The other, better solution would be to take cues from methodologies that have been tested—and decisively proven—in the testing grounds of the kitchen and the gym. No offense to the experts in lab coats, but the best solutions are always evident in the physiques they produce. Here are some of the transformative lessons learned from people who have gone through dramatic before-and-afters. In a world gone mad with chicken breast, protein powder, and super supps, the importance of water often gets overlooked. Adequate hydration is crucial for maximizing performance, not to mention the regulation of countless bodily systems, brain functions, and general health. Trying to exact measurable change in your body without first addressing fluids is a big mistake. The usual prescription for hard-training athletes is to consume half your body weight in ounces per day. "Nick Wright, a powerlifter and bodybuilder who started competing when he was 15, recommends putting a system in place that leaves little doubt as to how well your hydration plan is playing out." Nick Wright, a powerlifter and bodybuilder who started competing when he was 15, recommends putting a system in place that leaves little doubt as to how well your hydration plan is playing out. "The very first thing I'd recommend for every strength-training enthusiast is to drink close to half a gallon of water as soon as you wake up in the morning, especially if you have heavy lifts coming up," he says. "Then remain hydrated all throughout the day. Drink an 8-ounce glass of water with every meal and one between every meal. The more hydrated you are, the stronger you will be in the gym, and the safer your joints and tendons will stay." 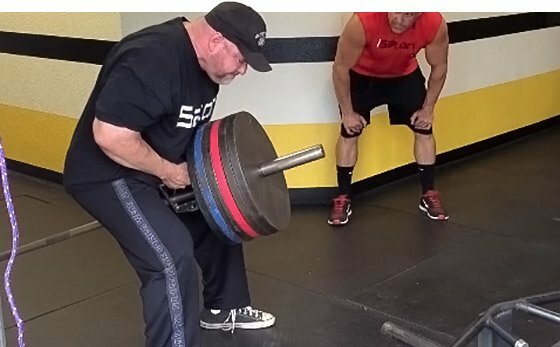 Often when someone commits to a new training program, they're so desperate for change that they cling to higher-rep schemes and longer-than-usual cardio sessions. But the burn-calories-at-all-costs mindset can be disastrous for those who are desperate to become bigger and leaner. Women in particular are sometimes reluctant to handle heavier weight for fear of gaining too much size when this practice is, in fact, a shorter route to a streamlined physique. "Research shows that heavier lifts more favorably impact testosterone and growth hormone, which have a positive impact on body composition." "My favorite tried-and-true tool for building muscle and strength is to put plenty of weight on the bar," says Jason "Big J" English of Big J's Extreme Fitness in Red Oak, Texas. "I have been extremely successful with 1-3 working sets of 6-8 repetitions for my primary movements. Just make sure you find your proper weight that is light enough to get to at least six, but is too heavy for 9 or 10 reps."
Research also shows that heavier lifts more favorably impact hormones such as testosterone and growth hormone, which have a positive impact on body composition. "If you're not getting enough sleep, you're just not growing or getting leaner. Period." When transformation is your goal, you know you must focus on your training and meals. But it's important to remember that you don't grow when you train—you grow when you sleep. That's when your body takes to the business of putting itself back together; if you're not getting enough sleep, you're just not growing or getting leaner. Period. And those who have managed to snap fantastic "after" photos have all come to this realization sooner rather than later. "When transforming your body, sleep is one of the most important elements in your plan," says Craig Stevenson, a 20-year veteran of the health-and-fitness industry and vice president of marketing for iSatori. "With the stresses of training, restricted calories, and, in many cases, high levels of stimulants like caffeine, sleep becomes even more important. Reaching delta sleep is vital since that's when your body releases high levels of hormones like growth hormone. These hormones are critical factors in not only recovery from training, but also in allowing your muscles to grow and fat to be utilized for energy. Having regular habits of when you go to sleep, when you stop consuming caffeine, and when you relax before bed are all key factors in maximizing your sleep and transformation efforts." 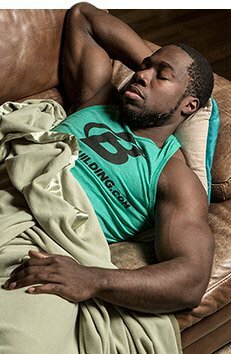 If you train in the evening, make a concerted effort to avoid pre-workout formulas with stimulants within 4-6 hours of bedtime, and try a gradual wind-down routine that provides for 7-9 hours of uninterrupted snoozing each night. If you set out on a physique revamp, you're going to want to measure your results and gauge your progress. So should you get on the scale? If so, how often? The science is all over the map on this matter, and anecdotal reports differ greatly from person to person. This is another case where successful individuals may have the most reliable approach. 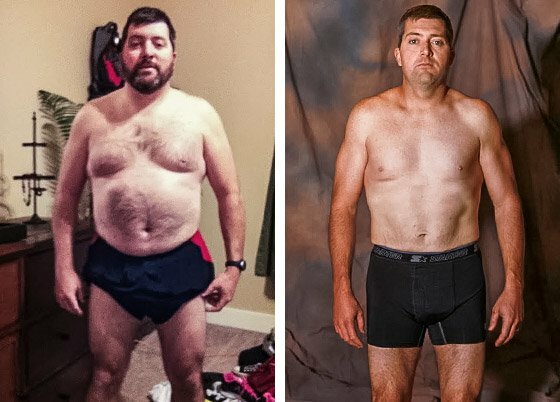 "Wes Bouillion, iSatori's most recent Hyper Growth Challenge champion, gained 15 pounds, three inches on his chest, and an inch on his arms in only eight weeks." 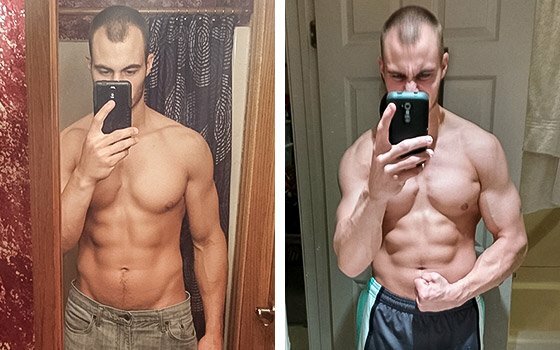 Wes Bouillion, iSatori's most recent Hyper Growth Challenge champion, gained 15 pounds, three inches on his chest, and an inch on his arms in only eight weeks. No matter which way you're hoping for the needle to move, he thinks that the scale can be more of a hindrance than a help. "I'm against using a scale to gauge progress unless you have to make weight for a competition," he says. "Personally, I judge myself on body composition. Remember, body weight can fluctuate daily from bodily fluid alone, and it isn't the best way to track your results." Many awesome transformations have been forged without venturing outside the weight room. But sometimes it's easy to lose motivation if that's your only environment. Even if your goal is simply to look better in the mirror, the occasional departure from barbells and squat racks can provide welcome mental and physical breaks that can actually speed progress. "Many awesome transformations have been forged without venturing outside the weight room." "I find cross-training motivational because it keeps things fresh and interesting," says Andrew Balliet, a Colorado-based software engineer who dropped 96 inches in iSatori's Iron Warrior Challenge. "It makes my body keep guessing at what it needs to handle next, so it's prepared for the different forms of training and exercises I throw at it. Specifically, I notice cross-training improves sports-performance, from hockey to softball. Cross-training helps keep my core strong for the activities I enjoy outside of the gym." Can you get great results by just eating right and training hard? Sure. But training hard taxes your body and, for most people looking to drastically transform, the early phases can leave you wiped. Worse yet, it can leave you beaten down, tired, and sore before building you up to be energized and strong. This can derail you. Proper, disciplined nutrition goes a long way toward reducing those effects, but supps like protein, bioactive peptides, glutamine, and certain pre-workouts can actually leave you more likely to push through and stick to your routine. "Supplementation can be a huge benefit, but only after you have nailed down how to eat for your goals," says Bouillion, who also holds a certification in holistic nutrition from the Institute for Integrative Nutrition. "Supps have helped me tremendously in reaching my goals. It's like they do double duty because they help me stay lean while I also gain mass. In addition to aiding my recovery, Bio-Gro builds lean mass, while restricting calories. I also use a pre-workout, which gives me more focus and a great pump, and a high-protein meal replacement product. I love the taste, and use it between meals." How many "diets" have gone to the graveyard with one too many helpings of chicken and broccoli? How many have failed because of unreasonable deprivation? 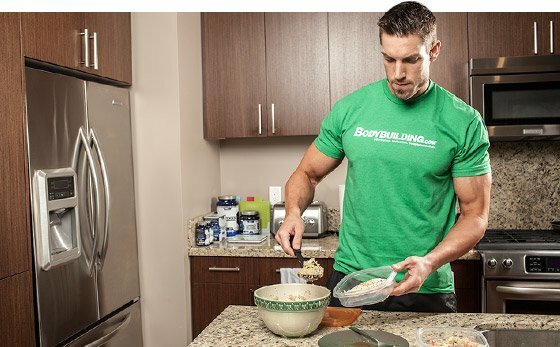 Meal timing, frequency, and variety all have a tremendous impact in how much progress you're able to make and how successfully you're able to stick to your program. It helps to map out a thoughtful strategy ahead of time, according to iSatori CEO Stephen Adele. "Most people spend a considerable amount of time and energy on countless attempts at eating smarter and following weight-loss strategies that inevitably fail," he says. "They try crazy fad diets, frozen pre-portioned foods, weight-loss clinics, or other quick-fix gimmicks. This is unnecessary and not a practical long-term approach. What is smart, however, is practicing a small set of proven principles over a long period of time." "Meal timing, frequency, and variety all have a tremendous impact in how much progress you're able to make and how successfully you're able to stick to your program." Adele's simplest advice? "For me, I don't like to leave anything to chance, and planning out and preparing my next day's (and sometimes even week's) meals is the best way to stay right on course each and every day of your transformation." There's no better time than today to start your physical transformation. Whether you're a gym novice who wants to lose 10 pounds of body fat, or an expert who wants to gain 10 pounds of muscle, these proven, time-tested principles will guide you through a successful transformation, if you commit to making the change. You're looking to transform, not evolve. You have time, but not forever. Follow these 10 tips and speed up your progress. Let's go! Don't get so wrapped up in losing fat that you forget about muscle. It's the real key to a successful, lasting transformation!